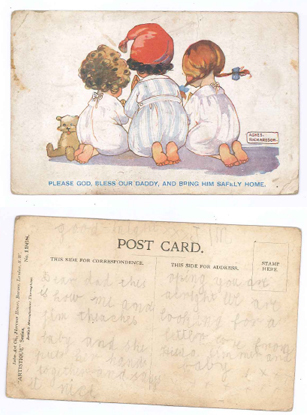 Despite the war, letters and postcards were sent between soldiers and their families. Whether in training or at the front, there were long periods of inaction when servicemen could write letters, read or kill the lice in their clothes. 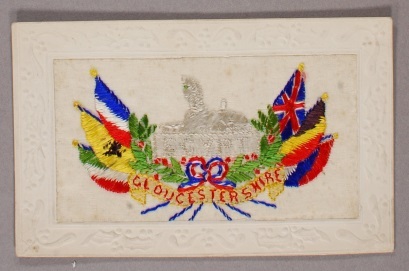 Letters took about two days to get from the front in France to home in Britain, and there was a constant exchange of letters and parcels between servicemen and their families and friends. 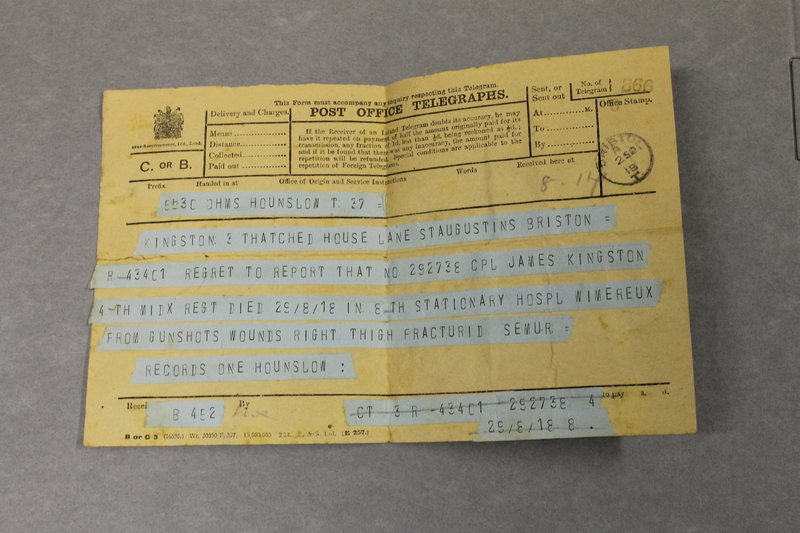 The Post Office dealt with about two billion letters during the four years of the war. This film is of a fictional character, Gladys. Everything she says is based on fact and what people were saying or doing in Bristol. Floss and Stan were sister and brother. 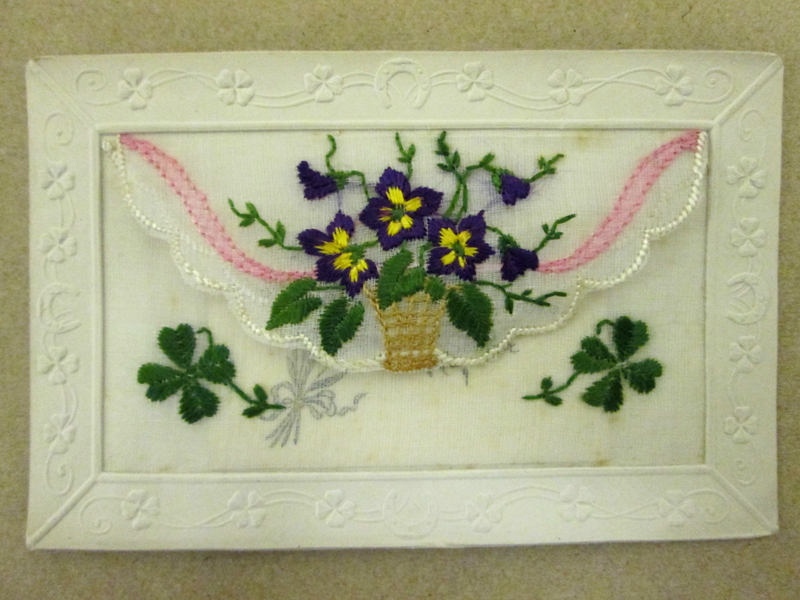 The French women who did the embroidery quickly adapted to wartime conditions, and added Allied flags, regimental badges and English wording into their usual designs of flowers. 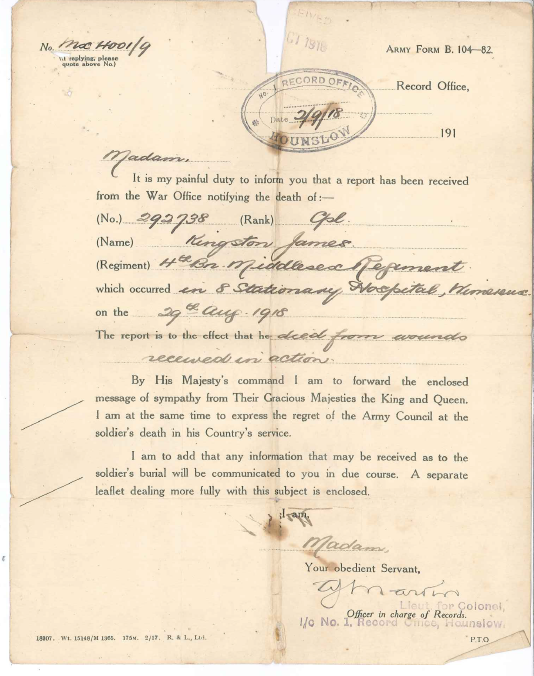 To get past the censor 2nd Lieutenant Guthrie Watson Williams devised a code so that he could tell his parents where he was. 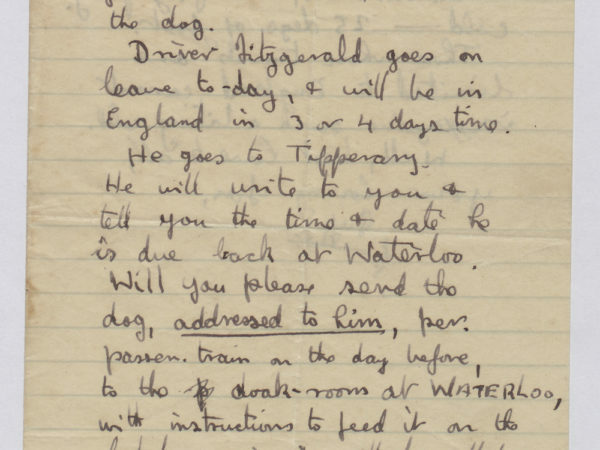 Letters from officers often included long lists of ‘wants’, as their parents could supply them with rat traps, warm clothing, food treats or anything else they needed. 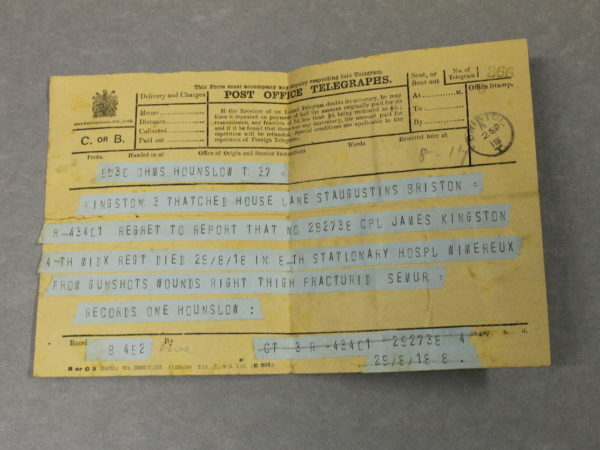 Families dreaded the telegram that told them their husband or son had been killed. 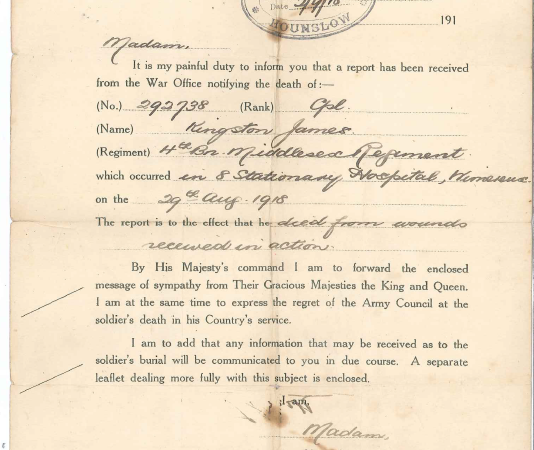 Corporal James Kingston’s family in Bristol received one telegram saying that he was wounded and dangerously ill, then another to say he had died on the 29 August 1918. 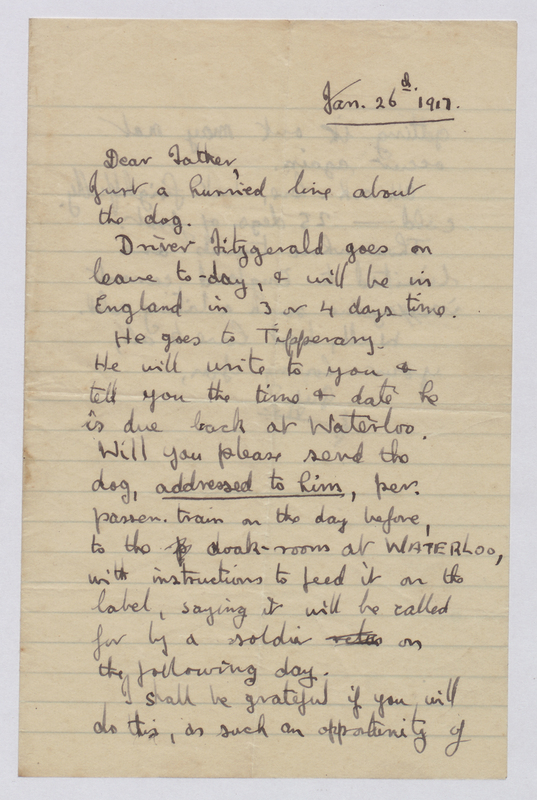 There were many other letters sent during the war. Official letters told parents or wives that a serviceman was wounded or killed. Officers and nurses wrote letters of sympathy. 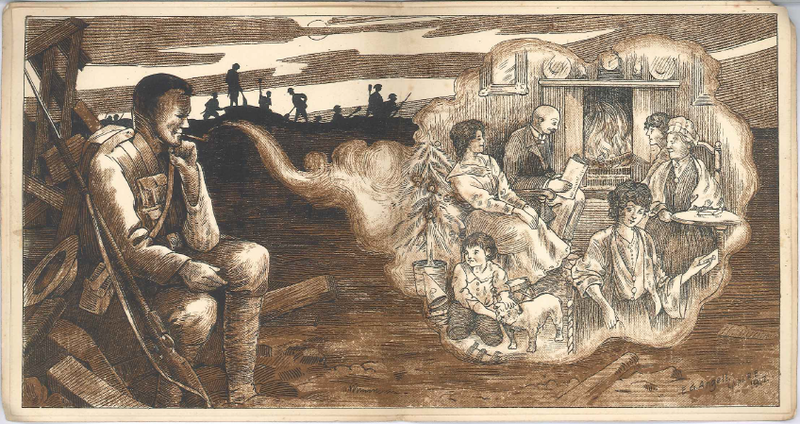 Fellow servicemen sent letters of sympathy and money to the now-widows of their brothers-in-arms.